Newport Beach, Calif. — When a coin collection is part of an estate transfer the question of value and disposition of the collection are frequent concerns. Often times, a coin collection is not well documented and the knowledge of the coins and their values is lost when it's owner passes it on. Estate fiduciaries and trustees are faced with ascertaining the collections value and what to do with it. The main question regarding an inherited coin collection is whether it represents a tangible investment that should be carefully managed or is it just another part of the estate's personal property that should be outright liquidated. With these concerns in mind, more often than not, a collection is placed into storage because no one really knows what to do with it or, it gets haphazardly divided among family members to allow each to decide how to deal with their cache of coins. Occasionally, coins and coin collections are forgotten in the writing of a will or trust. This can cause beneficiaries of the estate to argue about the value and how to divide this asset. Any time a coin collection is part of an estate, it's extremely important to have a reputable and experienced coin appraiser look at every coin in the collection so that an estimate of the collection's value can be determined. This will avoid the problem of over-estimating or under-estimating various coin values. A qualified coin appraiser has the skills to determine which coins are highly valued and which coins are not. An example is a collection that has a small number of common date and low grade gold coins but also has a few early 19th century pennies. Because of their condition, date and other factors, the gold coins may not be collectible. In this case, the gold coins would sell for slightly less than the actual value of spot gold on the metals commodity market - about $1500 each. However, a single 1805 Half-Cent coin can be worth $5,000 to $8,000 or 3 to 5 times the value of a single 1908 $20 St. Gaudens Gold coin. Before seeking an appraisal, it is wise to complete an accurate and detailed inventory of the coins in the estate collection. First, Do Not Clean any coins. Second, learn the basics about coin grading - Dates, Mint Marks and Condition. These are enough to get you started and will make it easy to record each coin. Write down whether the coin is a nickel or quarter, note it's date and mint mark and give it your own opinion of wear and details. A simple 1 to 5 scale of how worn should suffice. If you do this before seeking an appraisal, you will be doing yourself and the appraiser a favor that will get to a more accurate result. Once you have an inventory, contact an appraiser who will look over your inventory and provide a cursory evaluation of the coin collction and it's expected market value. If the collection contains very rare coins, the appraiser will explain this and recommend a full evaluation along with a cost estimate. Compare the cost estimate and the expected market value and decide if it makes financial sense to complete a full appraisal. One important piece of advice is to not use an appraiser who is also a dealer that plans to buy the collection from you. This creates a conflict of interest where the dealer may provide a low market estimate and then offer even less to acquire the collection. You are better advised to get an appraisal and then offer the collection to other dealers or sell the collection at public auction where there can be know doubt what the market will pay for each coin. If you have a large collection of coins and need to discuss it's value, please give GoodLife Auctions a call at +1 866 294 0150 and ask to speak to a coin appraisal specialist. 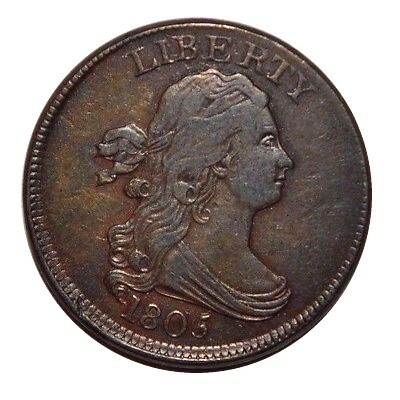 We assist trustees, fiduciaries and collectors with rare coin and coin collection appraisals.